Our Associates are the heart and soul of our Cornerstone Companies. They are the reason customers love to visit Taylor Street Ovens, hire Cornerstone Landscaping or Cornerstone Janitorial, and believe in the mission of Cornerstone Associates. Get to know a few of them here. I’m working with people I really like. They care about me and really teach me the job. Cornerstone: Hi Michael, we tried to interview you early this morning but you were on your way to a job. Michael: Oh yeah, we get out there early and work hard. Sometimes if we get a out early we can get home early. I’ve been here for six years and we have work contracts all over, OSU, ASI, The Metal Park, the airport and lots of other places. C: What do you do? M: I do everything but a lot of it is mowing, sitting and push. I trim with the weed wacker and I also rake lots of leaves this time of year. I like most all of it, its hard work but I make money at it. C: Are you learning good work skills? M: Yeah, for me some of it was leaving my problems at home so I can focus on my job. I spend a lot of time with my Supervisor learning how to do that and it has helped at work and also at home. C: What is your favorite part of the job? M: I’m working with people I really like. They care about me and really teach me the job. I make mistakes but I learn from them too. 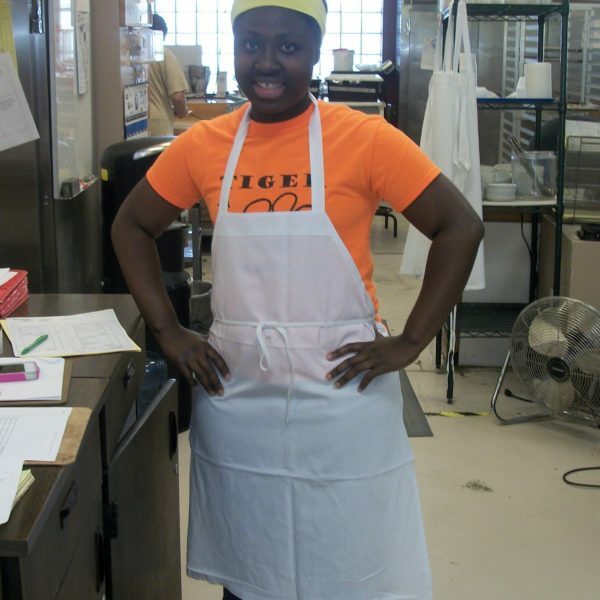 Mary talked with us at Taylor Street Ovens, a bakery and deli at which Cornerstone Associates learn important work skills. Cornerstone: How long have you been an associate with us? 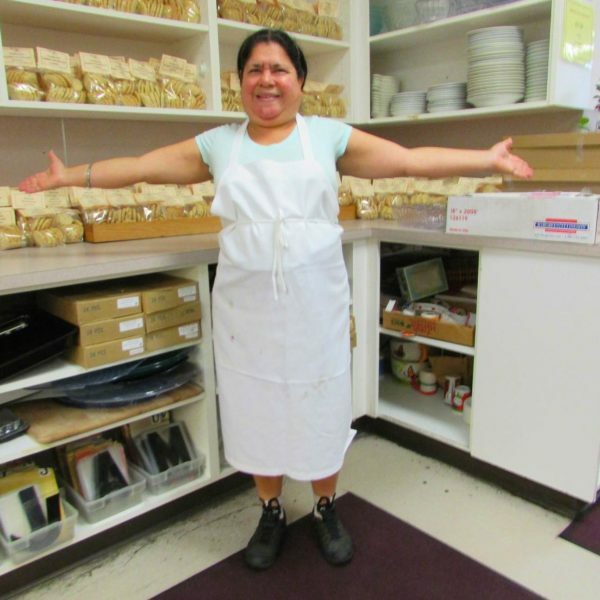 Mary: Since 2012, before that I had work as a janitor but some of my family members had health problems, they needed me more and then I ended up getting Carpal Tunnel Syndrome which made it very hard for me to do janitorial, even though I liked it. C: What is your position at Taylor Street Ovens? M: Assistant Baker, my managers Jeff, Lou and Sherry and have shown me how to do different jobs here. M: Well, I am learning to run a cash register. It was hard to run it at first and it ,still is but I am learning. I also scoop cookies do dishes and clean lots of things. If I run out of things to do, I do dishes, I try to help my Supervisors. C: What is the hardest part of your job? M: It has to be wholesale taking orders down from customers. That’s tough. M: Learning new skills, and this may sound funny, but I really like to clean. I don’t like things dirty. C: Are you learning things at TSO which will help you find a better job in the future? M: Right now I’m not thinking too much of the future, I need to learn this job first. C: What’s your favorite thing to eat here? M: It has to be the Oatmeal Cookies, they taste so good. The first thing you might learn upon meeting Taylor Street Oven’s most recent (and perhaps most gregarious) employee, Peterline Musick is that she wants to be called Lin. When asking her about the source of her very unusual first name, you will be met a slight smile, and a rolling of eyes which will inform you that the subject is closed. Lin: I used to have a hard life and calling me by the name Lin is a sign of respect. Cornerstone: How long have you been working at Taylor Street Ovens? L: Not two weeks, I am pretty sure that I am the newest employee. C: Have you ever worked in a bakery before? L: No, I took Culinary in High School in Lincoln City. I lived there with my parents who adopted me. I am from West Africa and moved here when I was 13. C: What was it like to move from West Africa to Lincoln City? L: It was scary and like I said, life was hard for me. I took care of my siblings a lot. C: What are some of the differences between West Africa and Oregon? L: Can you tell I like food? The food was different there, I had a garden there, lots of vegetables which I still love. One thing I learned to cook in Culinary was Omelets, and I still make vegetable omelets all the time and I have a vegetable garden here with tomatoes, cucumbers and peppers. C: How did you get a job at TSO? L: I was volunteering at the Carousel in Albany, I did many things there including carving horses. Eventually I got an application for work at TSO and I filled it out. Here I am. C: What was your first day at TSO like? L: I was nervous, maybe scared, but everyone was nice and they showed me around. After that they had me scooping cookies, I really liked that. Now I am learning how to make sandwiches. C: Do you have a favorite sandwich at TSO? L: Ham and pickles is a basic sandwich, but it’s my favorite. C: What do you like best about working at TSO? L: It has to be the people. They are so nice and I am learning many new things. Learning about being responsible is maybe the most important. I love to work and I think the best thing about America is that you can work and you have a chance to get the things you want. For instance I think I might like to work with children in the future. I am learning sign language and I think that is something I would like to share with them. C: Thanks for a great interview Lin… now for a silly question. Who is your favorite pop singer? L: Well, one of my favorite singers is Carrie Underwood because she is a great role model who dresses appropriately and cares about her music and her fans. C: Thank you for a great interview Lin. Ask Jon Hollis about his experience with Cornerstone Associates and he’ll tell you that he has been participating in our employment training programs for “six years and six months”. Jon started at Cornerstone Wood Products, eventually moving to Cornerstone Landscape Maintenance until landing a position at Taylor Street Ovens. Discovering the best fit for an employee is an important part of the process of self reliance. Jon’s mother comments, “For the past five years I’ve been working at Taylor Street Ovens and then just three weeks ago I got a job at Corvallis Tool Company, where they make heavy machinery”. 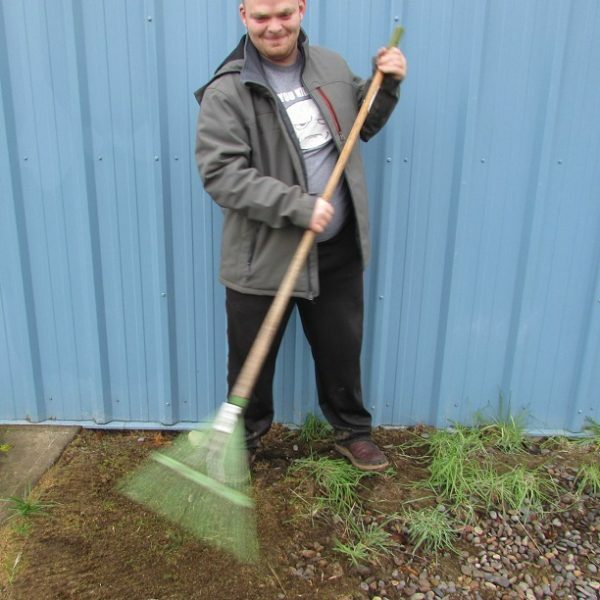 While Jon still works part-time at Taylor Street Ovens, he is making the transition to a job at Corvallis Tool Company where he will initially work as a Janitor. Jon’s new position will require a high degree of self-reliance, Jon’s mother, Janine comments on this. “Jon has been wanting a job that is more mainstream. He is high functioning autistic, so I felt sure that he would be capable of doing janitorial work, and doing it well. He was nervous at first. I explained to him that we are all nervous a little bit when we start a new job, and that is normal. He is already quite comfortable with this new job. In fact he says to me on weekends “I can’t wait to go to work tomorrow, I love my new job”. Jon is excited about his job and has learned that advancement and success occurs over time. “At Taylor Street Ovens I have worked hard and improved over 5 years. I tried scooping cookies and other things, but now have worked my way up to full time janitorial. I had lots of anxieties but I have learned to focus, and to get my work done”. Jon’s mother expands on this. 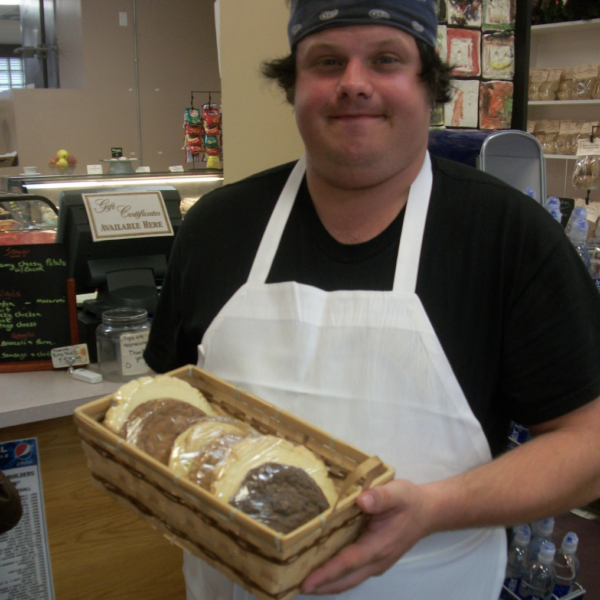 “Taylor Street Ovens has helped Jon learn that there are rules in the work place that we all need to follow, regardless of who we are or where we work. When he first starting working there, he used to say to me “Mom, there is just so much to learn”. But eventually he caught on to what his job requirements are, and as time went by he got very good at doing those requirements, and it has really helped his self-esteem and confidence”. Jon is excited about his new job at Corvallis Tools. “It pays well and I can work my way up, maybe even to heavy machinery. If I work hard I can reach my goals”. Says his mother, “Jon sees himself as an achiever, goal oriented and grateful for the network of people in his life that want to see him achieve everything he strives for. Jon has a very enthusiastic personality. He is the MC for a few bands that play locally in Corvallis on weekends. Because of his outgoing personality, he fits the job perfectly and he sure enjoys himself”. When asked how he would like to end this story, Jon said: “When I get home I like to pick up my guitar and shred! My favorite song is called “The Trooper” by Iron Maiden. I like it because it gives me bright ideas about my future. I love the people at Cornerstone, we all focus and get our work done, and the most bodacious people work at Cornerstone”. H: Almost two years now, November 22nd will be two years. B: What was the first job you had at TSO? H: Scooping and wrapping cookies. I didn’t like that part, it was hard for me to scoop. After a while I talked to Jeff and Naomi about it and they understood and helped me to find a new job here. Now I’m a baker. I make coffeecake, rice crispy treats, brownies, scones and lots more. I also help with pies. B: What is your favorite part of your job? H: Making food from scratch, I’ve learned a lot about baking and it has helped me become a lot more independent. I am planning on moving out of my residential home, having more freedom, it feels good. This is the longest job I’ve ever had, I like coming to work every day. Another part I like a lot is talking to customers, they treat me with respect and have always been nice to me. I also like helping out Cornerstone because they have helped me, like for our fundraiser, I peeled lots of potatoes, I mean a lot of potatoes! B: What is your favorite baked good here at TSO? H: Apple pies, I help out baking them and I like Thanksgiving best here at TSO because that’s when we bake the most apple pies. B: Thanks Heidi, that was a great interview, is there anything you want to add? H: Just that Cornerstone really treats me with respect, they don’t judge people based on their disabilities. You may have noticed that a picture of “The Starry Night” a famous painting by the Post-Impressionist artist Vincent van Gogh represents our feature on Taylor Street Oven’s Gabe Murphree. Gabe, like many of us is a bit shy so he chose this picture to represent him. Gabe’s choice makes a lot of sense as baking and in particular, cake decorating or icing is often too referred to as an art. C: (Cornerstone): Hi Gage, when did you start to Taylor Street Ovens? G: About three months ago, my mom suggested I apply at TSO, she knows I’ve always been interested in baking. G: I like cooking and baking. Baking provides unique challenges compared to cooking. When it comes to cooking you can usually substitute… condensed milk for milk, that kind of thing, but baking requires more exact measurements. C: What was your first baking experience? G: I baked at home but High School offered Culinary Arts, which had some baking units. I really liked working with pastries, the crème de la crème, that’s what got me hooked. C: What has it been like for you since High School? G: After HS I was mostly looking for work and debating on whether to go to college or not. I guess TSO is kind of my foot in the door. It’s like a busy mom and pop store, everyone is friendly. As I am just starting here it’s mainly production, wrapping, bagging, labeling. But I can move up, I’d like to get to a point here where I’m helping with the more technical stuff. C: It seems you are really putting a plan together for your career? G: Eventually I want to look at LBCC for cake decorating and more advanced baking. Some of the best cake decorators compare very favorably to famous artists. C: What is your favorite tv food show? C: Thanks for your time Gage, it will be fun to see where your interests take you! Alex is recognized for his hard work, and gives back to the community as a volunteer. 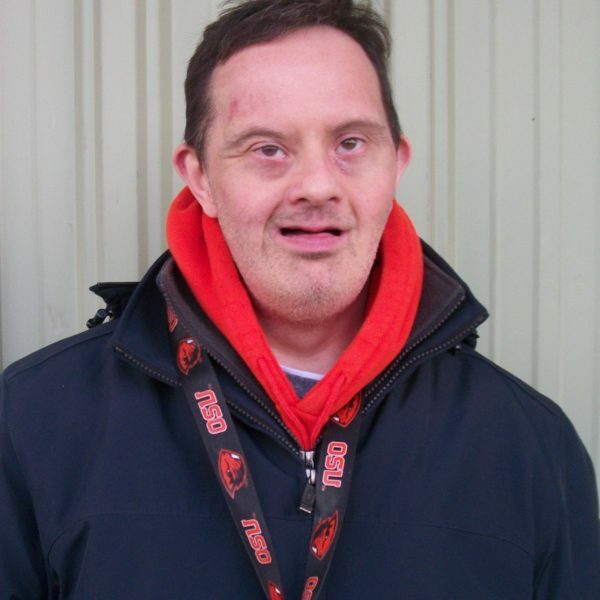 His work experience with Cornerstone has lead to a greater level of community involvement and independence. “Alex has always been known as a hard worker and he is really beginning to show his personality around here, letting us know what is on his mind. I would say he seems more confident” says Shirley Jenson of Cornerstone’s Packaging Plus, who has known Alex Russnogle for many years. Alex experiences hearing, visual, speech, and intellectual differences, and so it is especially encouraging that he is increasingly better able to communicate his concerns and interests. Packaging Plus Manager Joe Battrick says that Alex generally works with card board recycling but also does labeling for Oregon Freeze Dry products and on occasion works on our Color Wheel assembly contracts. 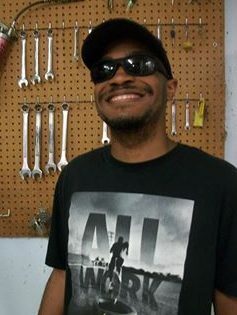 “Alex is so conscientious, he doesn’t like to leave work assignments uncompleted, he works until the job is done, he is really detail oriented.” In addition to learning employment related skills Alex has benefited from developing more effective social skills and Joe believes that this has really increased Alex’s level of independence. “Alex functions independently at all his jobs, a great example is in cardboard recycling. Alex keeps an eye on all aspects of the job, monitoring it without staff support. He is very independent”. While Alex is recognized for his work ethic, he also gives back to the community as a volunteer. Alex serves as role model we can all relate to. A first job success story, Ceon Hampton is gaining valuable life skills and experience working with Cornerstone Landscape Maintenance. The Oregon State Beaver cap that Ceon wears illustrates devotion to his favorite football team. Mention the Beaver’s and you have made yourself a friend. Over the past few months Ceon has been working with Cornerstone Landscape Maintenance. Says Manager Kurt Good, “This is Ceon’s very first work experience and has been doing a good job learning the fundamentals of mowing and using a weed eater.” This is affirmed by Ceon’s Crew Leader, Bill Geib, “He is not verbal but he makes it clear that he wants to do a great job. He is good with people and really works as a part of the team, and in time he should be able to do many more things”. It is exciting to see Ceon finding his place in the work world and we promise to check in with him and update on his progress from time to time.